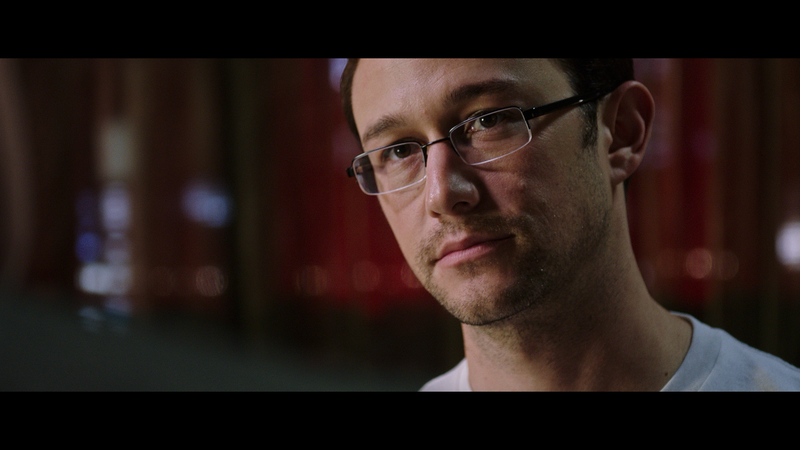 Snowden is the politically-charged thriller reveals the untold personal story of Edward Snowden (JOSEPH GORDON-LEVITT), the controversial figure who exposed shocking illegal surveillance activities by the National Security Agency and became one of the most wanted men in the world. A hero to some and a traitor to others, the provocative story of what led him to that fateful decision makes for one of the most compelling stories in recent history. There are other side characters introduced though, like O’Brien (and Forrester for that matter, though he’s possibly based off of a man named William Binney), they’ve probably are an invention to add to the Hollywood drama, as such is the case with these “Based on True Story” (or Actual Events). 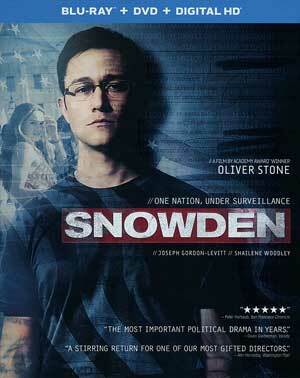 Beyond the characters, though, the movie also omits some things such as a scene toward the end where Snowden, with a stroke of a key, deletes access to the classified files leaving it to documentary filmmaker Laura Poitras (MELISSA LEO) — who directed Citizenfour which people should watch instead of this fictionalized account — and journalists Glenn Greenwald (ZACHARY QUINTO) and Ewen MacAskill (TOM WILKINSON), and yet in a real-life interview he admitted wanting to dissimilate the files to media in other countries (China and Russian officials most certainly already have had access). 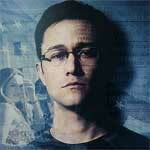 However, beyond the truth or, let’s say, embellishments, Snowden as a movie just never clicks. The movie is absolutely cold with nothing or no one to really like where even the title character himself isn’t exactly likeable to the point I left with a lesser opinion of the man considering the relationship Oliver Stone portrayed between Snowden and his girlfriend, a relationship which he didn’t come out smelling like roses. I realize the point Stone and company were trying to make was his job, and subsequent paranoia, were taking a personal toll but it didn’t come across that way. The other issue was the usual heavy-handed scenes Stone is known for in these “bio-pics” (see JFK and Nixon). 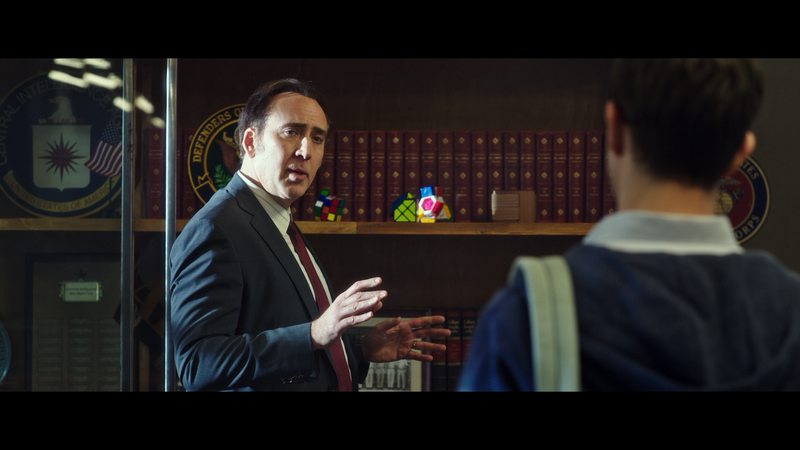 One scene that stood out involved Snowden in a conference room and on the big screen is the fictionalized Corbin O’Brien, confronting Snowden with lying on a polygraph and later, makes clear, when Snowden admits to doubts about Lindsay, assures him that his girlfriend has been faithful (insinuating that the couple are being spied upon). Now, this scene was supposed to be creepy and anonymous, and certainly Ifans exudes creepiness, but in this case, I found it laughable, not so much that the CIA or NSA isn’t dangerous but the over dramatized nature Stone presents makes it hard to take seriously. Fact is, if you’re 100% on board with what Snowden did, you’ll love this, if you hated it, you’ll hate it and if you’re like me and there’s a big old gray area (liking the message but disliking the messenger; and this movie did nothing to make him likeable, far from it), then you might not get much out of this. 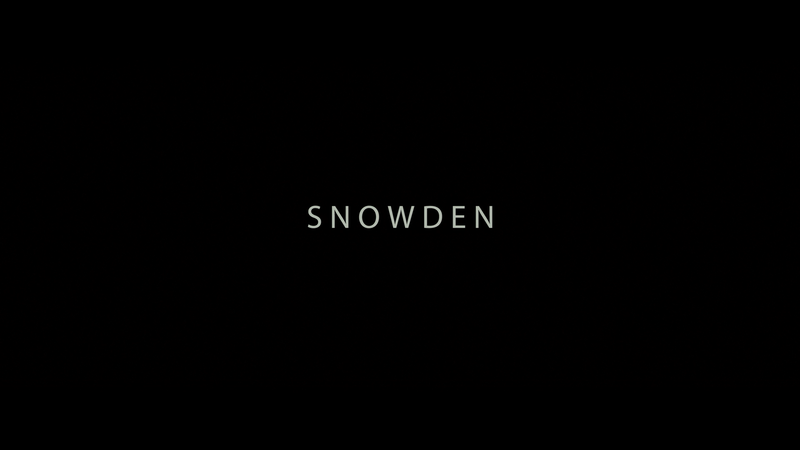 Instead of watching this, go ahead and rent – or even buy – the far superior Citizenfour. This release comes with a glossy, title-embossed, slip cover. Inside is a DVD Copy and a redemption code for the Digital HD copy. 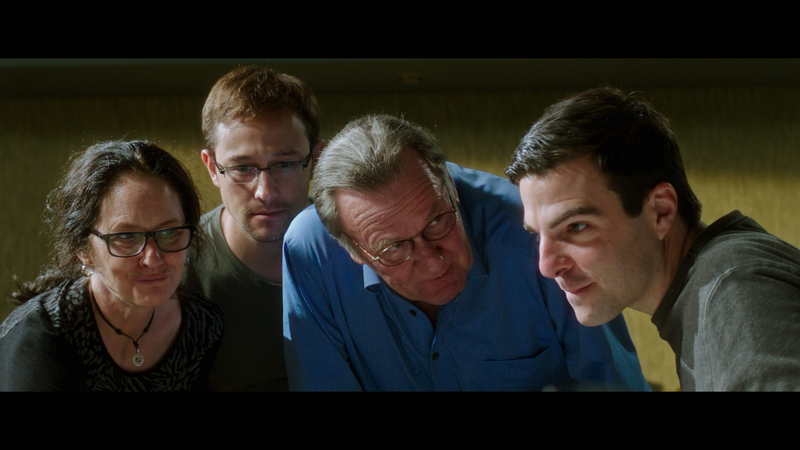 Deleted Scenes (8:51; HD) – A handful of scenes are included however nothing of note or would’ve added to the story or Snowden as a character. Finding the Truth (3:57; HD) is a short behind-the-scenes featurette with on-location interviews with members of the cast and crew. It’s nothing more than an advert for the movie than anything in-depth. Snowden: Q&A (41:00; HD) – Co-Writer/Director Oliver Stone, Edward Snowden (via video) and Actors Joseph Gordon-Levitt and Shailene Woodley answer a variety of questions moderated by Matt Zoller Seitz (Editor-in-Chief of rogerebert.com and TV critic). 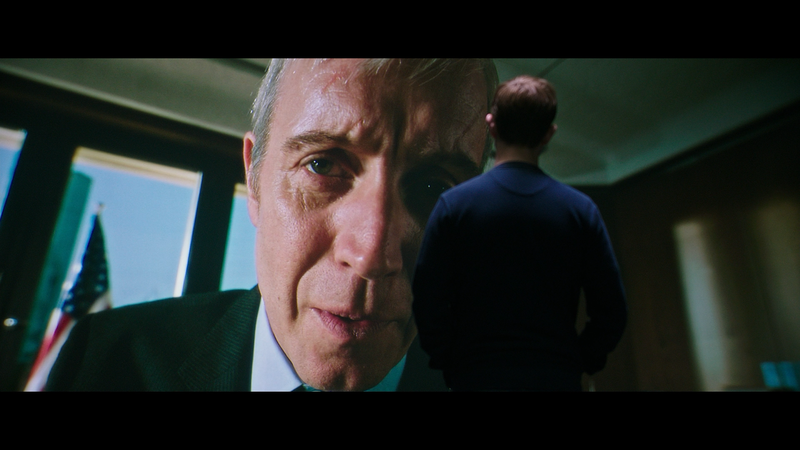 Snowden leaks onto Blu-ray through Universal Pictures Home Entertainment presented in its original 2.40 widescreen aspect ratio and an MPEG-4 encoded 1080p high-definition transfer. The film is relatively sharp with fine detail throughout while colors are generally bright though at times it is toned down in keeping with the film’s darker story. The DTS-HD Master Audio 5.1 track is rather weak which I suppose should be expected for a movie that is almost entirely dialogue-driven with minimal, or at least not noticeable to my ears, score. The rear channels are mainly relegated to minor ambient noises. But even as dramas go, this wasn’t exactly robust but instead merely adequate for what it is. Overall, ultimately Oliver Stone actually does a disservice what Snowden did in revealing the illegal surveillance program by embellishing some aspects to the point that it calls into question some of the other actions taken, but to be clear, what was done I approve, just not a fan of the messenger and this movie did him no favors. Beyond the liberties taken, and I’ll be kind using that word, there are some unintentionally funny scenes that maybe in due time, I’ll look back on Snowden as I do with JFK and its made-up BS intertwined with the truth. The Blu-ray released by Universal offers some OK bonus features and while the video is fine, the audio was disappointing.